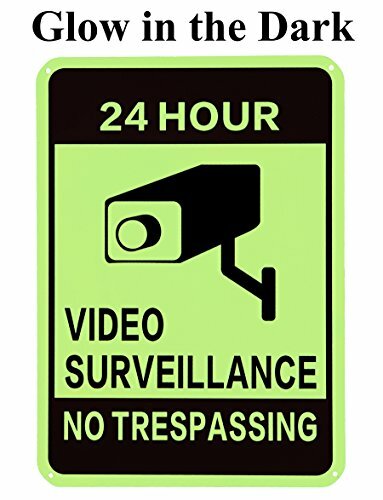 WISLIFE Video Surveillance Sign-40 Mil Rust-free Aluminum Glow-in-the-Dark Signs, Home Business 24 Hours Security, No Trespassing Security Sign 10" X 14"
Product prices and availability are accurate as of 2019-04-20 16:38:03 EDT and are subject to change. Any price and availability information displayed on http://www.amazon.com/ at the time of purchase will apply to the purchase of this product. While having cameras might help you to investigate any crimes against your property, it's still a better idea to prevent them from happening. WISLIFE security signs will work both day and night. It features supreme durability, easy installation and a well-recognizable look. Any potential robber simply won't miss it. The more professional your sign looks, the more it will scare away any potential criminals. 10"x 14", 40 mil(1 mm) thick, sturdy rust-free aluminum plate, 4 pre-drilled holes, the no trespassing signs look as if they are municipal or governmental. Burglars will think twice before stepping into your property. Mount it with screws! 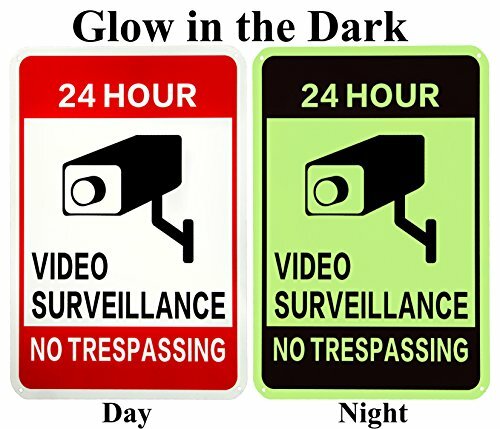 HIGH-QUALITY PHOTOLUMINESCENT SURFACE: After being exposed to light for 5-10 minutes, the WISLIFE surveillance sign will glow in the dark for more than 15 hours (luminous intensity will weaken gradually, but still recognizable). No maintenance or electricity is needed. Despite its outstanding qualities, the photoluminescent material contains no toxic or radioactive chemicals. PERFECT SIZE, EYE-CATCHING AND PROFESSIONAL: Especially designed to attract people's attention. 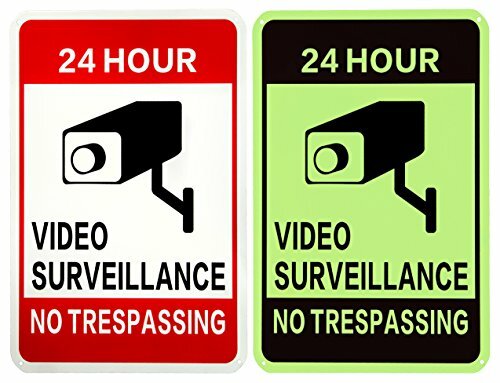 Its red, black and white color combination, 10" x 14" in size, weight of 7.8 ounces, along with 40 mil (1 mm) thick aluminum, makes the video surveillance sign looks like it belongs to a governmental institution. 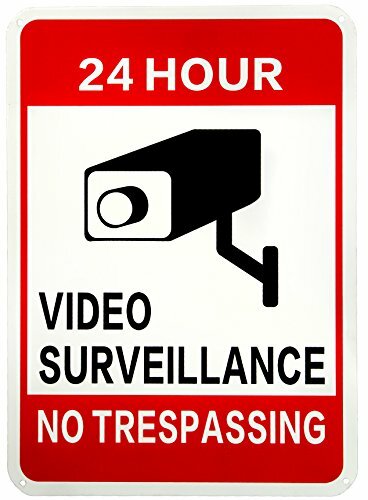 EXTREMELY LONG LIFESPAN: WISLIFE security surveillance sign is covered with anti-UV and dirt- and moisture-repelling layers. This aluminum surveillance sign can withstand extremely bad weathers. We guarantee a lifespan of 7 years or more. EFFICIENT 24-HOUR PROTECTION: Unlikely other yard signs, WISLIFE camera warning signs work both at day and at night. It is made of strong photoluminescent material which still glows at night, allowing you to enjoy a 24-hour protection. ONLY SOLD BY WISLIFE: Our no trespassing sign are more durable and effective than our competitors'. We have implemented special technologies to achieve those outstanding results, and we've made sure to patent them in the US. Customers, please make sure that you are buying genuine WISLIFE security signs from authorized sellers. Any violations will cause severe penalties on Amazon.